Professional Personal Trainers Helping You Succeed! I first stepped foot in a gym my freshman year at Florida State and instantly fell in love…In love with both the feeling that doing weights gave me and…with my then boyfriend and now husband…Marlon. All those competitions you may have read about in his Bio…I was there for every pain staking moment! I was coach, training partner, food preparer, choreographer and cheerleader. I lived vicariously through him until I finally got the nerve to do a figure competition of my own. MY biggest battle was Courage. I didn’t know it was a National Qualifier, that’s probably why I did it…and I placed 7th in 24 women. I was VERY proud that I didn’t faint on stage. Before I could avenge my placing the next year, we found out I was pregnant with our first child who caused me to enter the world of Pilates. I needed something to help my ‘out-of-place’ hips and really enjoyed the new style of workout I got doing Pilates. I studied under Nicole Perkovich, who was the facilitator and creator of the materials for the Physical Mind Institute. She has since begun her own certification program and is an amazing Master trainer. I am most grateful for the new way she taught me to see the human body and for providing me with tools to help change peoples’ weakest links. We have since had another little one… so to all the women out there who know how difficult it is to get back in shape after kids and during what seems like the craziest part of your life…you can do it! We’d love to help! I have been involved in athletics and exercise for the majority of my life. I grew up playing every sport imaginable. I went on to play college football at Mount Union College in Ohio where I was fortunate enough to be a part of 2 National Championship teams as a defensive back. In college I was also able to apply my passion for fitness and sports performance by receiving my B.S. in Exercise Science. 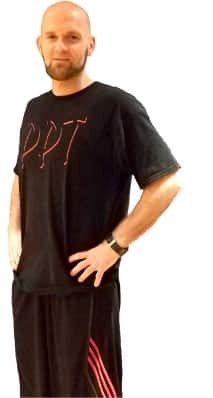 I began personal training in 2004 in college and fell in love with it. After returning home from college I decided to further my knowledge by becoming an NSCA Certified Strength and Conditioning Specialist. With my other passion being emergency medicine, I also became an Emergency Medical Technician and look forward to furthering my career in that area as well. I enjoy the opportunity that training gives me, by allowing me to take my love and passion for exercise and share it with others. I also love the one on one relationship I get to make with so many interesting people. I have worked with people from all training backgrounds and abilities; from highly trained athletes looking to improve their performance, to kids and Grandparents trying to improve their overall fitness levels. 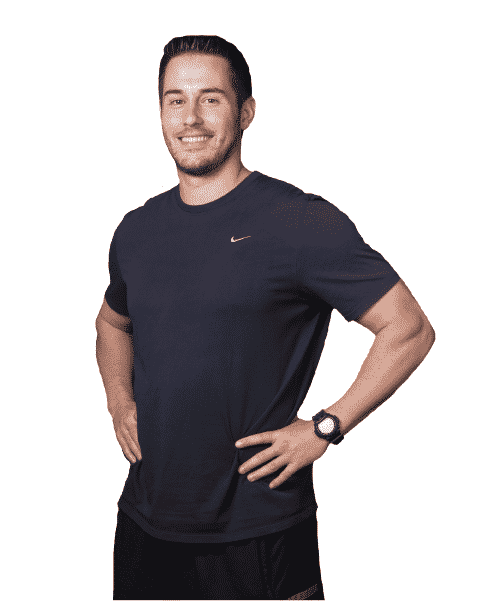 As a trainer, my ultimate goal is to improve your overall quality of life by helping you achieve your health and fitness goals. As your trainer I will do everything I can to help you reach those goals and help you have fun doing it. Many would identify me with one of my true passions…the beauty of movement…exercise. Since I was little, I was involved in different sport disciplines: Gymnastics, Volleyball, Tennis, Football (soccer) and even Basketball. I also loved to Dance. My feet could run to the sound of a faint or distant musical sound. At 15 years old, I learned to gain strength through physical training. It guided me to a greater lesson… “Perseverance”… My new war cry ! I am a passionate trainer. My methods begin with the transformation of thought. I have seen the result of saying “Yes!”, when everything seems to indicate “no”. I enjoy creating versatile workouts, routinely aiming for more advancement, and teaching how to practice good eating habits. I think we are all able to start over and commit to what is best for our health. Over the years, I have seen how bodies change, and how the interest in loving and respecting it either begins or increases. At the same time, this new realization changes both the way we see things and, in turn, our priorities. I want with all my heart what I do, because I understood from a very young age, that what we value and care for most, is what requires dedication and effort. I receive, with open and strong arms, all those who wish to renew themselves in an integral way: mind, soul and body; since these three have to be involved in sports and exercise. I always hope to anchor all my clients in these practical ideas. I am pleased to meet you and motivate you in the process. Exercise, health, and wellness are my biggest passions in life. I truly believe and operate under the ideology of movement being medicine. I grew up highly active and always involved in athletics and exercise, eventually becoming a recruited NCAA Division II rower where I was a member of a conference and national championship program for my college tenure. I have 15 years of experience in weight lifting and strength and conditioning. In college, I studied neuroscience at Nova Southeastern University and was heavily involved in research that combined the worlds of neuroscience and exercise science, specifically investigating the innumerable neurological and cognitive benefits of exercise. 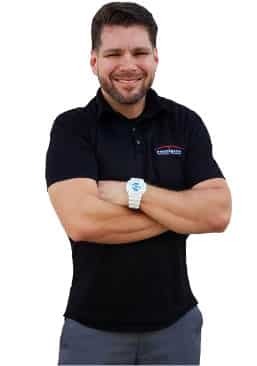 I am currently pursuing my doctorate of physical therapy at the University of Miami and am passionate about combining rehabilitation, strength training, mobility, and injury prevention for my future clients. 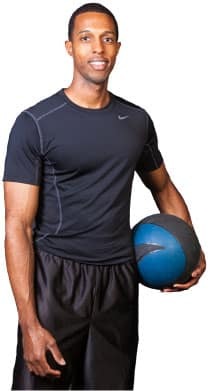 I love finding the method of exercise that best suits each individual, focusing on optimal form and movement patterns, assessing biomechanics and movement quality, teaching the fun of fitness, and instilling confidence that comes along with becoming healthier, more fit, and moving your body better and more often. 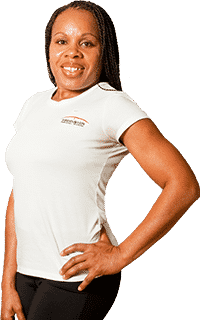 I am eager to help everyone – children, men, women, older adults, professional athletes, and first time exercisers alike – become the best and healthiest versions of themselves, all while having fun, providing challenges, and seeking progression. Growing up, I was always the smallest kid in school. Short, not very strong or athletic, and skinny; although I ate everything in sight, I had a very fast metabolism. Eventually when I got into high school I started weight training, and although my body type made it difficult to build muscle size, I developed strength and coordination through lifting weights and it made me better in sports and recreational activities. With over 16 years of weight training experience now, I have developed the right tools for even the hardest of body types to gain muscle. Along with my 16 years of experience, I have a physics and mathematics degree along with some coursework in the human movement system. I am certified through the National Academy of Sports Medicine. My training philosophy is about being the strongest “you” that you can be, as it will help in long-term health and also gives you more physical freedom, as you grow older. I am a strong proponent of posture and movement. Your training, risk of injury and overall quality of life will jump to an entirely different level with proper form and range of motion. My goal as a trainer is not only to transform your body, but also to educate you on how to adapt your lifestyle to be healthy, long lasting, active and injury free. Money cannot buy happiness nor buy health, but a healthy lifestyle that you CHOOSE to live is an important component of long-term happiness! Growing up, I was always overweight. Add onto that, self-conscious and unmotivated. Truth be told…I was a quitter – I never finished anything. I can count about 10 things that I was good at and thought I wanted to pursue but ended up giving up. From art, to tap dancing, to DJing, and the list goes on. My weight always got in the way of my self-confidence and my abilities. When I started college, I weighed in at my heaviest. Realizing how frustrated I was at that weight…how self-conscious I was…at that moment, something clicked in my mind. I realized at 18 years old, my health was seriously at risk. So for the first time in my life…I decided to stop giving excuses and do something about it…and I followed through! I hired a personal trainer, and within a year, I lost 80 pounds. But more than that, I found my passion. This new lifestyle lit a fire within me that I had never felt before. I knew right away this was my calling. Looking back, I wish I would have found my confidence sooner. However, things happen the way they do for a reason and I know now that if I can help people find their confidence, I’ve fulfilled my purpose. I am now an ACE Certified Personal Trainer, and I am always seeking ways to further my education, through research, workshops, and new certifications. I specialize in weight loss, strength, & conditioning. I also love to cook and can provide nutritional guidance to complement your exercise routine. If you are struggling to stick with a program or need help with weight loss or regaining your old shape back…I can help. I love what I do, and I can’t wait to help you reach your goals! I have been training for over 20 years. Watching clients achieve their personal goals is my biggest reward. I am passionate about what I do and help motivate my clients and hold the accountable to their stated goals. Always keeping it lighthearted but focused. I have been athletic throughout my entire life, participating in gymnastics and track during my early years in school. I fell in love with weight training during my career in the army where I served as a Master Fitness Drill Instructor. The discipline and diligence that I applied during those years in the military I still use today. As a mother of three boys, my health and wellness are a vital part of my life. I am a CPR/NSCA certified personal trainer. 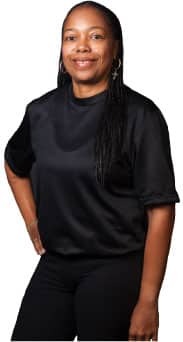 I specialize in boot camps & kids fitness classes as well as personal training sessions that incorporate strengthening and toning, cardiovascular endurance and muscle building. My goal is to help my clients to obtain their optimum level of fitness and to have fun doing it. I believe that overall fitness, health and wellness have to come from a lifestyle change that incorporates proper diet and nutrition as well as a regular exercise regimen. I aim to provide fun, challenging and diverse sessions to maintain my own balanced state of wellness and to help clients achieve theirs. I am highly passionate about helping people set and achieve goals. Struggling with obesity from early childhood until my late 20’s has given me insight and a first-hand knowledge of “the struggle”. Having to overcome my personal urges and overcome my weight issues, I understand both the downfalls and possibilities of not only a workout regimen, nutritional support, and social support. When you have had enough, believe in yourself enough, and have the right support – the possibilities are endless. Born and raised here in Miami and have been in the fitness industry four years. 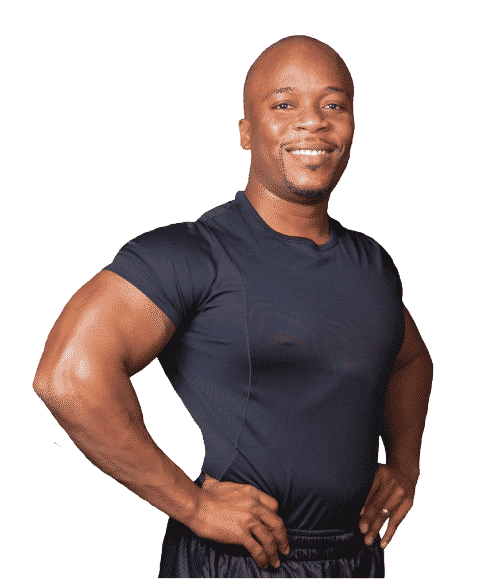 I am NASM Personal Training Certified + Corrective Exercise Specialist aspiring to become a motivational speaker and help as many people look good and feel better as possible. If you are ready to make that change, there is no better time than today! I have always been active in different sports and activities such as volleyball, softball, basketball, and racquetball. After graduating from high school, I found myself working in the corporate world which required long hours, high levels of stress, and a lot of time away from my family. I’m a wife and mother of two (17 & 13). My goal is to live a healthier lifestyle while enjoying a better quality of life. I enjoy exercising to ensure I reach the goals that I have set for myself while giving my clients the same opportunity. I have my NASM CPT, CES Certifications. My goal as a personal trainer is to help my clients understand that the key to a healthier lifestyle and living a better quality of life must include a balanced diet and nutrition plan along with a regular exercise plan and a commitment to follow through with it. I understand that as we get older, safety is an important part of any exercise program. To keep clients away from injury, I will focus on those muscles that are not normally used or haven’t been used due to a non-active lifestyle while challenging those that are used on a daily basis. This will help improve their balance, strength, flexibility and cardiovascular system while toning and losing weight. I am high energy and fitness ﬁxes my day each day. The activities that get the heart beating, the lungs breathing, and the blood pumping are my therapy to de-stress and to pro-gress. From little league baseball to high school wrestling, track, soccer, and cross country, I learned that warming up and cooling down, as well as doing each move correctly–like it or not– are essential to success on the court or track or mat. I advanced to more demanding activities, gymnastics and weight training. At the age of 18, having never attempted anything more than a forward roll, I found an instructor who gave me the conﬁdence to test my strengths and push my boundaries. I joined the University of Maryland Gymkana Troupe (Fall ’00/ Spring’01), where I participated in aerial acrobatics, parallel bars, and in a 2-person tumbling ﬂoor exercise. If I could be taught, I knew I could teach others who doubted their ability to “get physical”. I disposed of my preconceived notions of my limitations–because the only things that impeded my advancement were those erroneous ideas telling me “I can’t”. As I adopted a good work ethic, I progressed physically beyond what I’d ever thought possible because I saw each little success as a positive step. My goal is to ﬁnd for each client a few ﬁtness favorites that s/he will adopt in a daily routine, and thereby will improve the quality of each of their lives. How did I get here? I’ve taught physical exercise in summer camps, boot camps, and private gyms ever since the Physical Improvement Bug got me. I have had my fair share of bumps, bruises, pulls, strains, sprains, and even worse, a few that required surgery and a physical therapy plan that spanned months not just days. After spending hours being the patient, I use what I had felt and learned and bring it to the healer’s side of things to empathize and encourage clients who become injured, whether it is a 4-year old who is rammed into by an over-zealous classmate, a would-be gymnast who falls of the balance beam, or an adult now limited due to a car accident. I believe that when we focus on each aspect of our workouts, we will be preventing injuries rather than trying to recuperate from them. As a young child in Elementary School I was interested in Sports. I played basketball, football, softball and volleyball. I also ran track; I was the fastest girl in the fifth grade classes in my school. Nonetheless I was somewhat chubby. In my early teens I became bulimic/ anorexic. I recovered in my late teens, but my eating habits were still very poor. My self-esteem was very low and by 18 I started to get serious about exercising. Although I managed to lose the weight, my body fat was very high. I thought about becoming a nutritionist, but instead went into the field of Biology. My eating habits slowly began to improve, but I still didn’t see myself where I wanted to be fitness-wise. That’s when I thought about becoming a fitness coach… I wanted to gain more knowledge on how to improve my fitness level and also help others that were going through my same struggle. I can now say that it brings me lots of joy to help people accomplish their fitness goals. 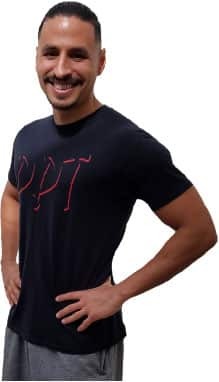 With my knowledge in Biology, nutrition and workout programs, I’ve been able to help individuals of various ages – senior citizens, middle age, young adults and kids– improve their strength, lose weight, increase their muscle mass and make wiser food choices. My determination is to become a better coach every day and be able to inspire more people. I believe that if you take care of your body you will be a better person in every aspect of your life. Just do it!!! My Journey began many years ago when I was only 12 years old and I was getting ready for “Field day” at school. This was an event in which 5th and 6th graders at the school competed in various track and field Activities as well as team building events. Everyone was given new T-shirts for the occasion and we were told to go to the restrooms in groups of three to change. As we were changing the other two boys I went with started laughing at how skinny I was (you could literally count every bone in my body I was a very slim kid). Until this day, I can remember how shameful it felt to be laughed at because of my physical appearance and my self-esteem hit rock bottom. I can definitely identify with those who hurt emotionally because of what they look like on the outside. Many will say “what matters is what you look like on the inside” however most people you meet will not be around long enough to know who you really are and will judge you by what they see in front of them. That day I resolved that I would never be laughed at again and made fitness my life. I was only 12 y/o. In retrospect this memory is probably the most important reason why I have such a passion for helping others. Those boys were supposed to be my friends yet they made me feel like such an outcast…like I just didn’t fit in and I don’t want anybody to ever have to feel that way. It wasn’t until much later that I would learn the importance of fitness and health since I have a family history of Diabetes and Cancer on both sides of my family. I decided I had to make health, nutrition and fitness a way of life. I graduated from FIU with a Bachelor’s degree in Health Science in 2004 and became an ACE Certified Personal Trainer. American Council on Exercise® (ACE ®) is a nonprofit organization committed to America’s health and wellbeing. Over the past 25 years, they have become an established resource for both fitness professionals and consumers, providing comprehensive, unbiased, scientific research impacting the fitness industry and validating themselves as the country’s trusted authority on fitness. After Graduating I worked for Hardball Baseball (a local South Miami Sports training Center) for 6 months when I was promoted as Director of the Strength and Conditioning program. It was there where I learned to train large groups as local baseball, football, and swimming high school teams came in to train and enhance their skills. I have since specialized in weight loss training. I am very dedicated to health and fitness and I always seek new avenues in which to expand my fitness knowledge and offer more to you as a client. It gives me great satisfaction to see an individual reach their goals and improve their quality of life. I am an accomplished Soccer player and NATURAL bodybuilder. I have played just about every sport on a competitive level. I played for the Cayman Islands National Soccer team for 7 years and played varsity soccer for the University of West Florida for 2 years. I have won 11 bodybuilding titles and shows, including overall titles at 2002 MuscleMania Florida and 2002 NGA United States National Bodybuilding Championships. Married and the father of two. Received my BS in Marketing from Florida State University and I am AFTA certified. Married and the father of two, I have been working out for the past 26 years, personal training individuals for the past 20 years, and competed for 8 years. Having worked out for over 26 years, I have seen many things come and go in the fitness industry. However, one thing that has not changed is the search for quality information and guidance when it comes to working out, losing weight, and/or building muscle. I have created a facility that combines various modes of training that effectively help people reach their goals – whether that is: losing 30 pounds or gaining 30 pounds, getting ready of a special event or just staying healthy, pushing through a plateau or getting back in shape. If you are truly serious about finally reaching your goals, and willing to give 100%…come to the BEST! Your search is over.